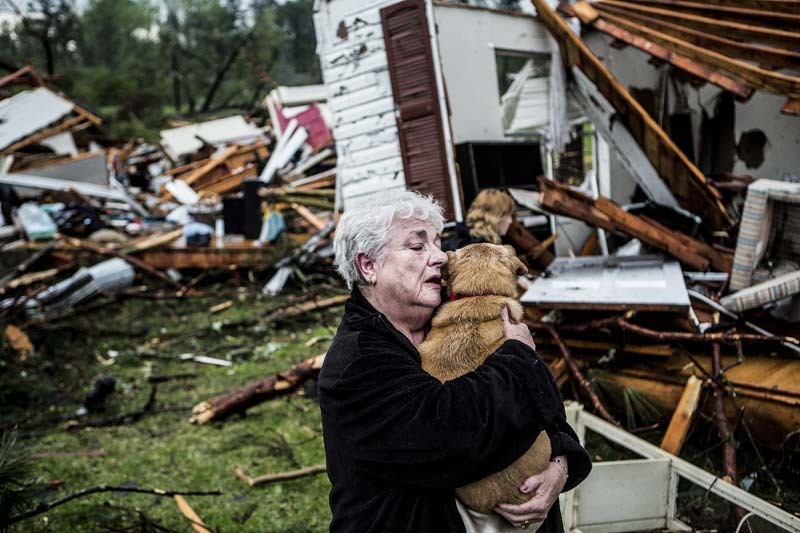 April 28, 2014 - Constance Lambert embraces her dog after finding it alive after returning to her devastated home along Clayton Ave in Tupelo, Mississippi. Lambert was at an event away from her home when the tornado struck and rushed back to check on her two dogs and cat. All three of the animals survived the tornado.